Pain (both chronic and acute): injuries, headaches, neck and back pain, tendonitis, sciatica, carpal tunnel syndrome, fibromyalgia, arthritis, tennis elbow, golfer’s elbow, and knee pain. Neurological disorders: post-stroke recovery, Bell’s palsy, trigeminal neuralgia, movement disorders, headaches, migraines, and shingles. Circulatory disorders: high blood pressure, angina pectoris, arteriosclerosis, and anemia. Upper respiratory disorders: asthma, allergies, bronchitis, sinusitis, sore throat, emphysema, laryngitis, colds, and flu. Ear problems: earache, ringing in the ears, and dizziness. Gastrointestinal disorders: irritable bowel syndrome, spastic colon, colitis, constipation, diarrhea, food allergies, ulcers, gastritis, abdominal bloating, hemorrhoids, and heartburn. Immune function: recurrent infections, and supportive treatment for chemotherapy patients. Psychological and emotional problems: depression, anxiety, insomnia, stress, and panic attacks. This is not an exhaustive list; if you do not see your condition above, please contact us to find out how acupuncture can help you. Acupuncture has been the subject of multiple scientific studies, and it has been acknowledged by the National Institute of Health (NIH) and the World Health Organization (WHO) as an effective method of treatment for hundreds of conditions. To learn more, visit Medline Plus: Acupuncture (NIH) or the WHO review of diseases and disorders that can be treated with acupuncture. Acupuncture is a key part of Traditional Chinese Medicine (TCM): a medical system that has been used and refined for over 2,000 years. TCM views the body as an interconnected system, where no single component or condition can exist in isolation. Consequently, TCM practitioners arrive at a diagnosis by examining the patient as a whole and looking for patterns that reveal deviations from the natural, balanced state of the body. Acupuncture is performed using sterilized, single-use needles that are inserted into key points in the body and retained from as little as a minute, up to about 30 minutes. The points are carefully selected based on the TCM diagnosis with the goal of bringing the body back to its natural state of balance. 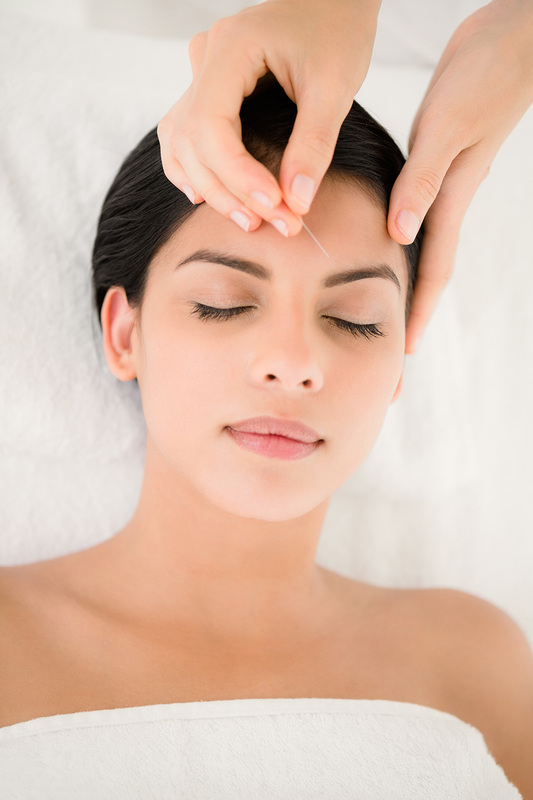 Acupuncture needles are solid and about as thick as a human hair. Unlike the much thicker hollow needles used for blood tests and injections, acupuncture needles can be inserted with minimal effort and little, if any, discomfort to the patient. Many patients do not even feel the insertion. Although the exact biological mechanisms of acupuncture are the subject of ongoing scientific study, acupuncture has been acknowledged the National Institute of Health (NIH) and the World Health Organization (WHO) as an effective method of treatment for hundreds of conditions. Cupping is a form of therapy using glass jars which adhere to the skin using negative pressure (suction) created using heat or a hand pump. Cupping may be used for a number of reasons, including treating local pain or addressing deeper internal imbalances. The cups may be placed in a single location on the skin for up to 5 minutes or moved around an area using a lubricant. Many patients find that cupping feels like a relaxing deep-tissue massage. Cupping can relieve tension and promote circulation in the area where the cup is placed. Massage therapy may include, but is not limited to, such techniques as stroking, kneading, gliding, percussion, friction, vibration, compression, passive or active stretching within the normal anatomical range of movement; effleurage (a soothing, stroking movement using fingertips or palms); petrissage (lifting or picking up muscles and rolling the folds of skin); or tapotement (striking or rhythmic movements with fingers or sides of the hand). These techniques may be applied with or without the aid of lubricants, salt or herbal preparations, or a massage device.